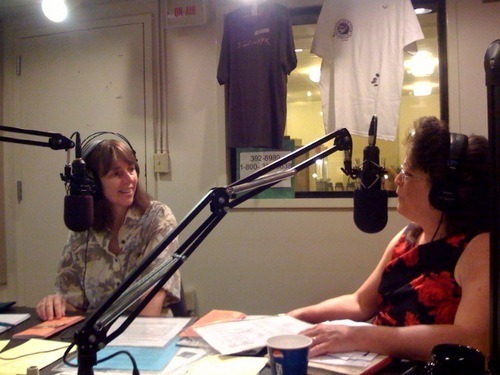 I joined Donna Green-Townsend on the air today to fundraise for WUFT-FM and WJUF-FM, the public radio stations. We worked during “Fresh Air,” one of my favorite programs from National Public Radio. “Fresh Air” host Terry Gross interviews musicians, artists, authors, journalists and others in the media, enabling listeners to learn of the behind-the-scene decisions, the motivations, and the thoughts of her guests. One of the reasons that I’m a fan of the program is that Terry Gross is an excellent interviewer. I encourage my students to listen to her to hear how she creates a conversational atmosphere, demonstrates that she has done her homework, and both can ask tough questions and join the guests in lighthearted comments. I’m a believer in the value of public radio with its in-depth coverage and its programming the provides extended interviews and not just soundbites. I enjoy being on the air to fundraise, as that also gives me live radio experience.